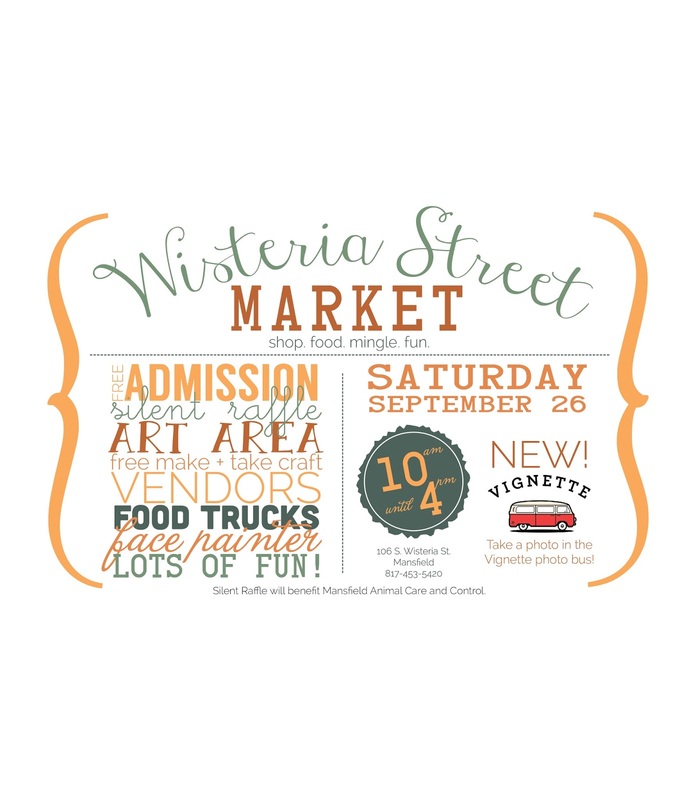 "Get ready for fall at our third Wisteria Street Market! The Market will be held on Saturday, September 26th from 10am-4pm. We will have arts + crafts vendors, a silent raffle, food trucks, free make + take crafts, and more! Vignette Photo Bus will also be there, so don’t forget to stop by and take your picture. Get a jump start on your holiday season at Wisteria Street Market. We hope to see you around! Shop. Food. Mingle. Fun." This fee includes access to a Vendor Room and 2 Chairs per booth. Applications are available here and are due by August 8, 2015 by 4PM. For more information, visit their website or contact their event coordinator at mary.jones@mansfieldtexas.gov / 817-453-5420.